This week, I sat down with Danielle Mizuta, who is the State lead mentor with the Hawaii Department of Education Teacher Leadership Institute. Danielle mentors new teachers. 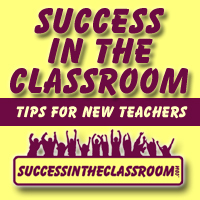 She helps new teachers be successful earlier in their career with analyzing student work, setting professional goals, coaching and observations, and anything else the teacher needs. She’s the perfect guest for the podcast. Her advice on classroom management and connecting with students is exactly what new teacher need to hear. She shares her three P’s that identify amazing teachers: They’re PROFESSIONAL, PASSIONATE, and they PERSEVERE. I found this to be very profound. Danielle also shares on the podcast the power of Pinterest. This was a lesson for me. I have a Pinterest board, but I learned that teachers can find ideas for classroom activities, tips on classroom management, and any other topic of interest just by searching the different boards on Pinterest. Cool! I had a great time picking her brain on the podcast. I know listeners will find great value in Danielle’s unique perspective of teaching.